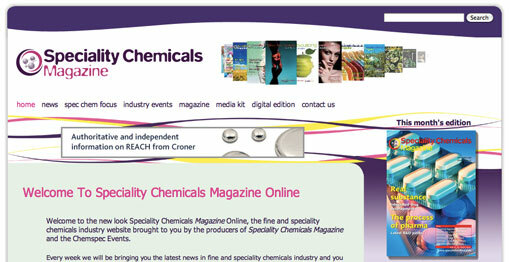 The Speciality Chemicals Magazine website is one of the websites managed by The Funk House for DMG World Media. The Funk House was asked to refresh the design for their new online magazine campaign. The website was designed to match their new media pack and to also help create space for their menu as the website evolves.